Living in Southern California definitely has its benefits. Year long near perfect weather, great beaches, and in the case of San Diego, America’s Finest City. Part of having nearly perfect weather all year round means we don’t normally have a lot of rain. But that doesn’t mean we are immune to water, mold, and mildew. 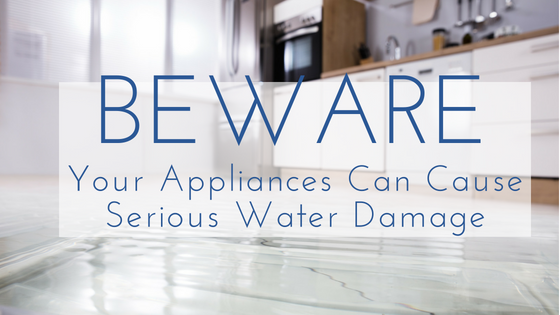 Appliances are a large contributor to damage from water in our homes. Flood Solutions Inc. has isolated some of the more common offenders and how to tell if your appliances are giving you trouble. Clogged and overflowing toilets are generally pretty easy to fix, but leaving an overflowing toilet for later is a great way to come home to a freshly flooded bathroom. If you catch your toilet overflowing turn off the valve allowing water to fill the toilets reservoir. Sometimes, your float chain can get caught under the trap in your reservoir and simply jiggling the chain will prevent further overflowing. If common fixes don’t work, it may be that the clog is further down the line and professionals should be called to address the issue. Because your water heater is essentially a water tank that is being heated to distribute hot water throughout your home, it’s very possible for this particular appliance to cause large scale damage to your home. Water heaters have a few connections that link directly to water mains for your home. Should you have a leaky water heater, it’s best to call a restoration professional like Flood Solutions ASAP. It’s best to keep your water heater on an annual maintenance schedule. Refrigerators are a large culprit when it comes to appliances causing damage. Most of the components that can malfunction are going to be nearer to the wall on the back of your refrigerator. Excess moisture is a problem for refrigerators especially when it comes to areas like San Diego, where we experience above average heat in the summers. This excess moisture can start to pool on the floor or trickle down the wall causing mold and mildew over time. Once you move the fridge or notice the damage might be done. If you notice an odor of mold or mildew coming from your fridge even when the doors are shut, turn to an appliance repairman to assess and fix the problem. Should mold and mildew be a real problem a mold remediation expert should be called to properly clean the area. Dishwashers are a less common culprit when it comes to leaky appliances. More often than not the cause is a simple one: too much cleaning solution. If you follow the instructions to the letter and are still noticing a leaky appliance, there may be a component failure in which case an appliance repair may be necessary. One of the scariest appliance leaks is your washing machine. Our washing machines are workhorse appliances that are used over and over again and just keep ticking. 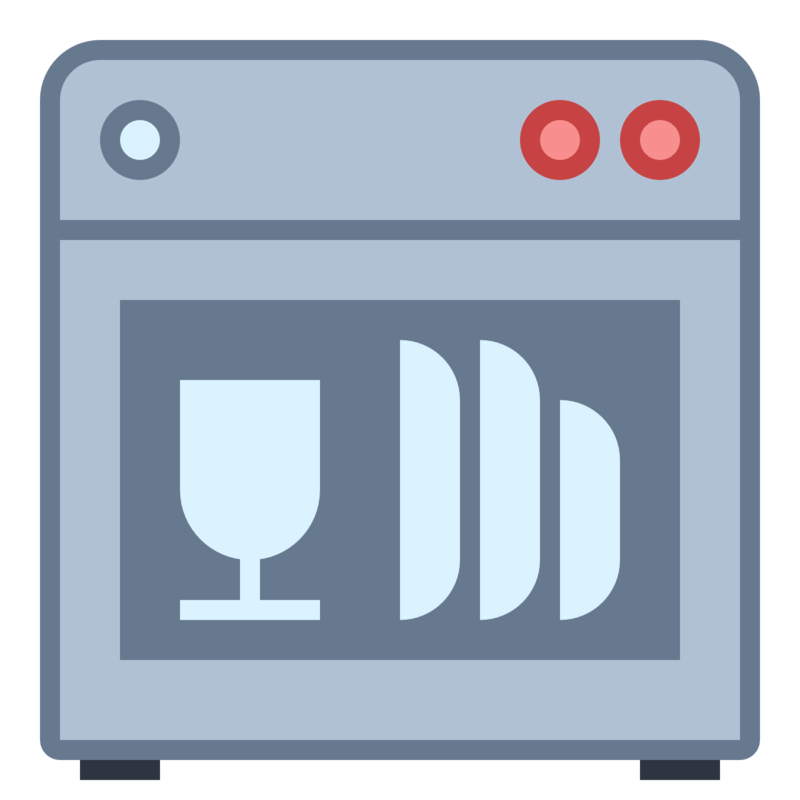 Your washing machine may overflow for a variety of reasons and like your dishwasher a leading cause is too much detergent or the wrong kind of detergent. However, if you have a drainage problem or a loose connection this appliance leak can dump a lot of water and cause a decent amount of damage to your floors and walls. Flood Solutions always recommends routine and regular maintenance for your appliances. However we understand things happen and leaks and damage may have you swimming for answers. 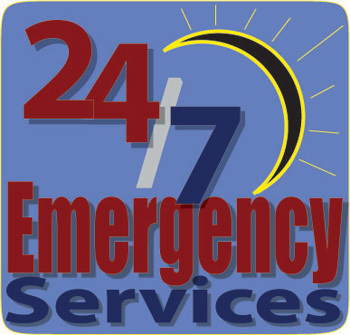 We are a certified mold remediation specialist and offer emergency services so you stop further damage to your home.